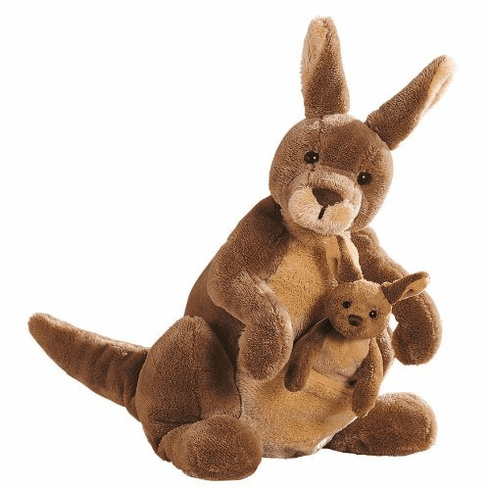 This cuddly pair is sure to be a big hit with kids both young and old. Jirra the kangaroo and her baby Joey come to you from the Australian Outback and they are ready to play. Each animal has soft brown fur and a huggable body. Baby Joey can be removed from his mother's pouch. Jirra measures 10" tall and Joey measures 4" tall.